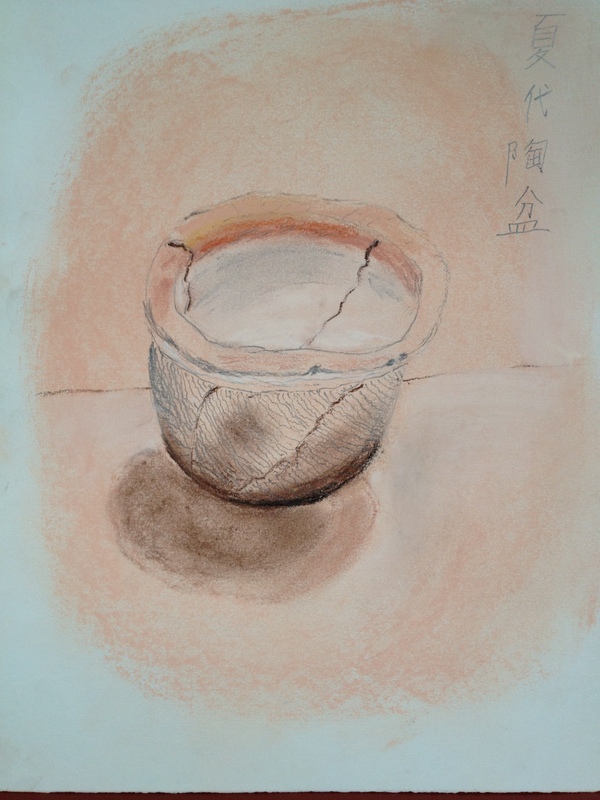 I drew this pottery bowl in the dining car on the train from Luoyang to Beijing last night from a sketch done during my visit at the Luoyang Museum on Saturday. It is of a bowl from the Xia Dynasty which was around the time from 2000-1600 BC in China. It’s not an exact rendering but is meant to capture the feling of the bowl. The actual one has a much darker outside and is shorter in proportion than what I drew here.